Kelly is one of the more modern designers this year. 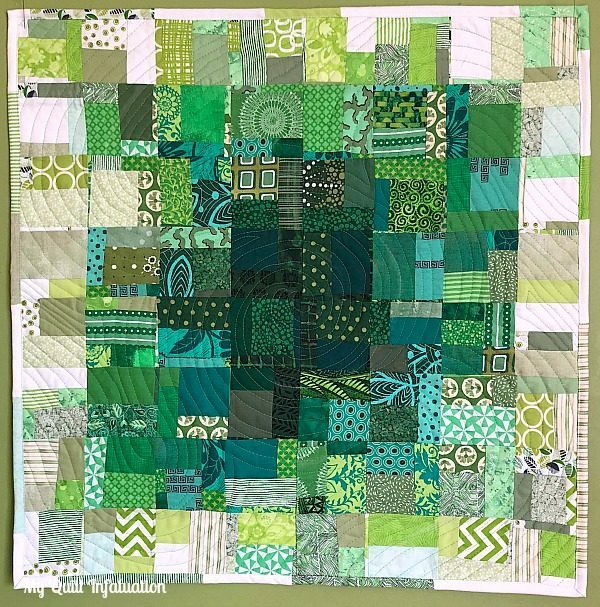 She has a great eye for a quick pop of color in her patterns. She also teaches, so you may have taken a class from her already. 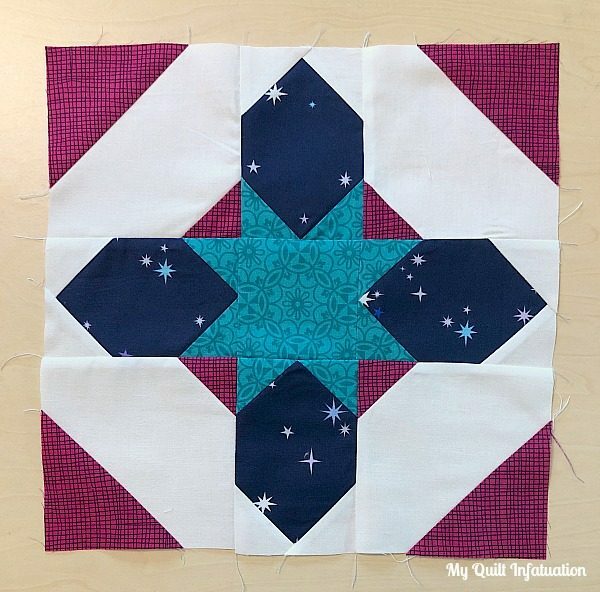 You’ll have to check out her ‘home state’ pillow tutorial, you’ll love it! 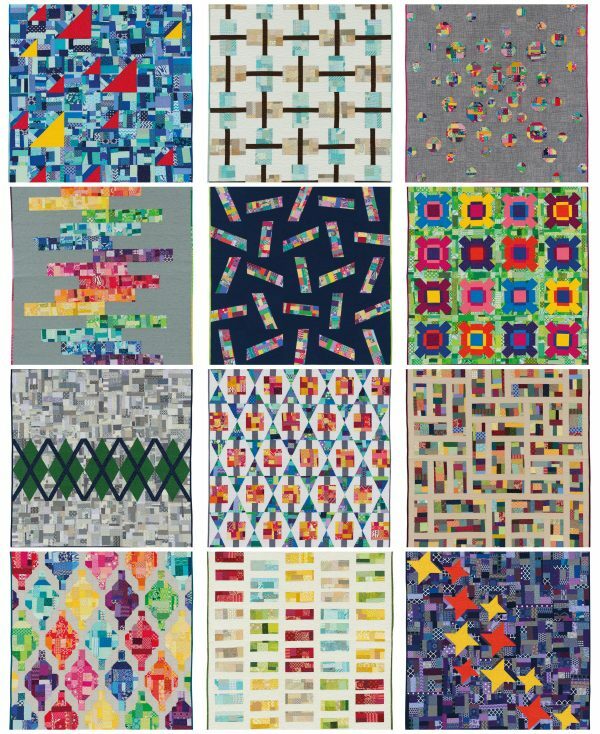 I’m a wife to an awesome husband and quilt-holder extraordinaire, mom to a 14 year old son (my wild thing! ), and a former elementary school teacher. I’m from south Louisiana, but my family currently lives in west Tennessee. 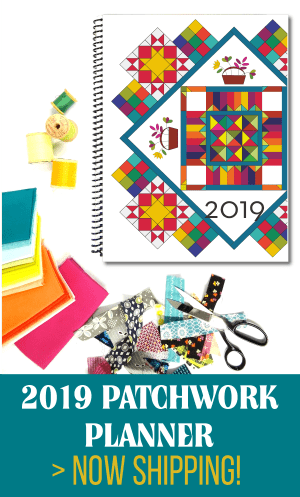 When I’m not helping with homework, chauffeuring my wild thing to one of his many activities, or dealing with any other aspect of the day to day grind, I’m a fabric-obsessed quilter, author, pattern designer, and quilt teacher! 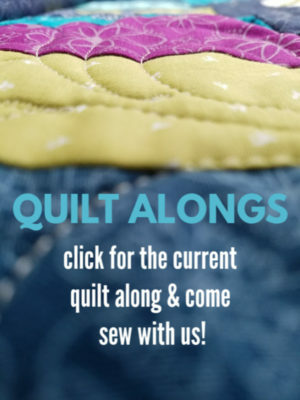 Life keeps me busy of course, but I make time to quilt- and our whole family is happier for it. It’s my creative outlet and my stress-reliever- in short, I’m infatuated with it! 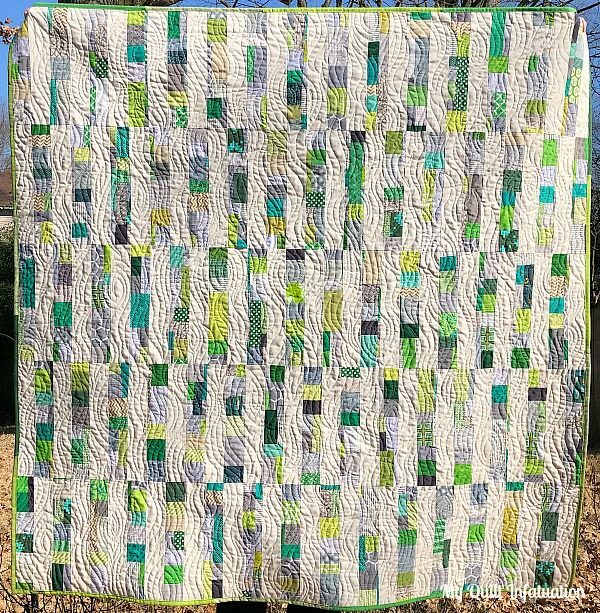 The Waverunner quilt is inspired by a tile floor I saw once in an old building. 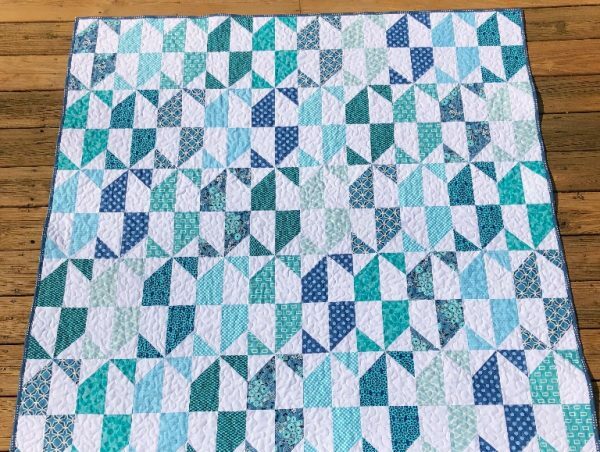 I decided to use a soothing color palette of blues, teals, and aquas along with crisp white, which really makes the whole quilt feel fresh and light. 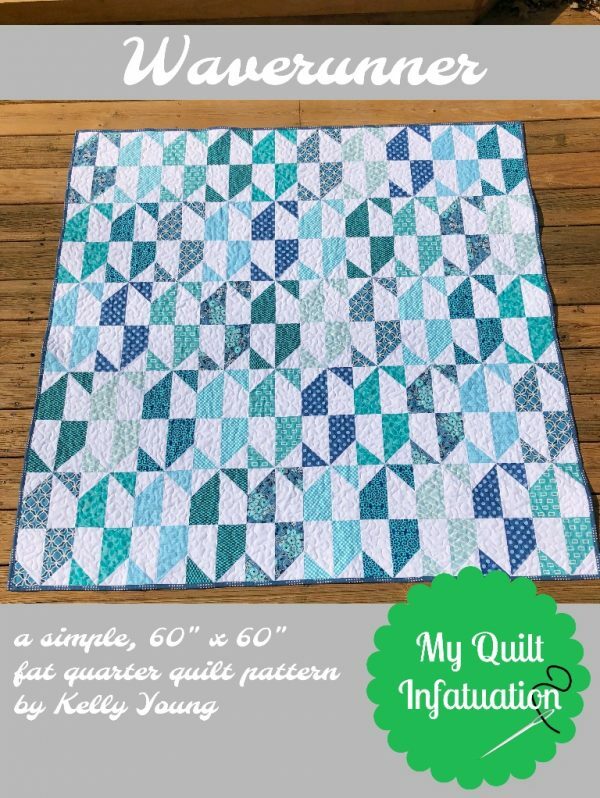 For such a simple block, the geometric pattern is very striking, and it has great movement. 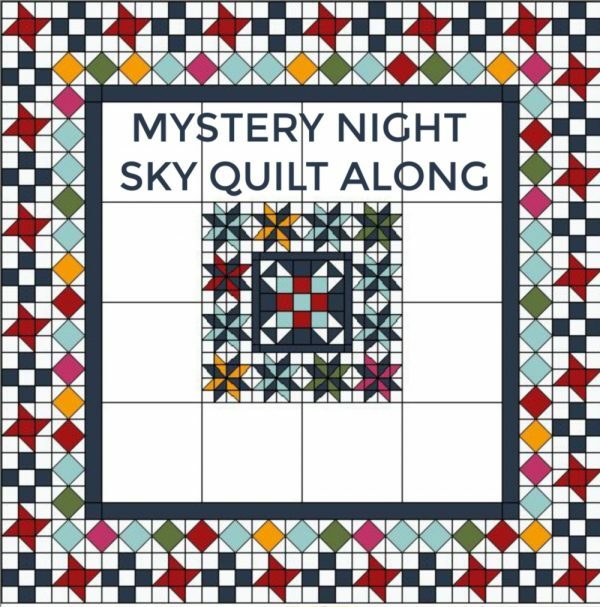 My block is called the Moroccan Star, and like my Waverunner quilt, it’s also inspired by architecture. 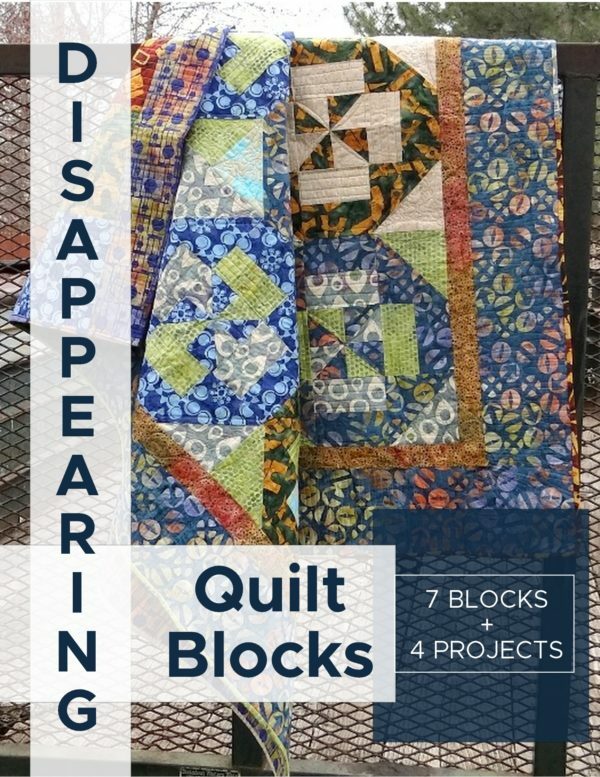 The block looks striking on its own, but when several are put together, a wonderful secondary pattern emerges. 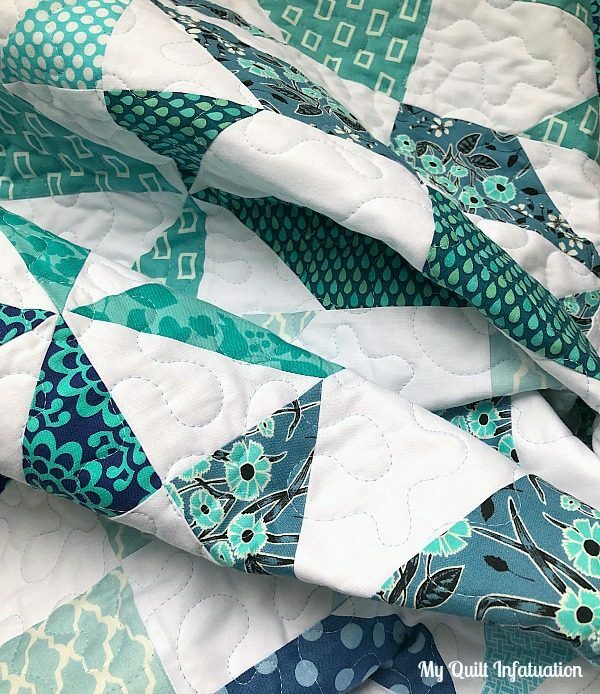 I’ve always loved fabric and quilts, and as a newlywed about 20 years ago, I decided to jump in and make my very first one. I was in love with it from the very start. 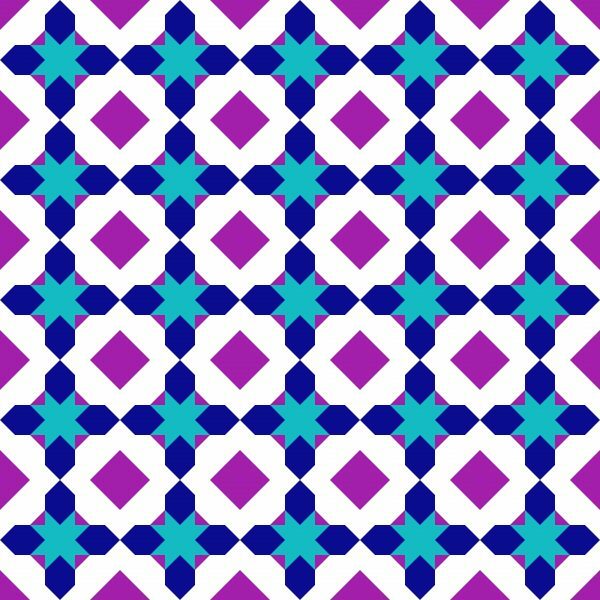 I love nature, art, and architecture, and I enjoy designing patterns that are inspired by those things. I honestly love the basics best. I don’t think I could live without my BIG Olfa self-healing cutting mat, and my Olfa Splash rotary cutter. 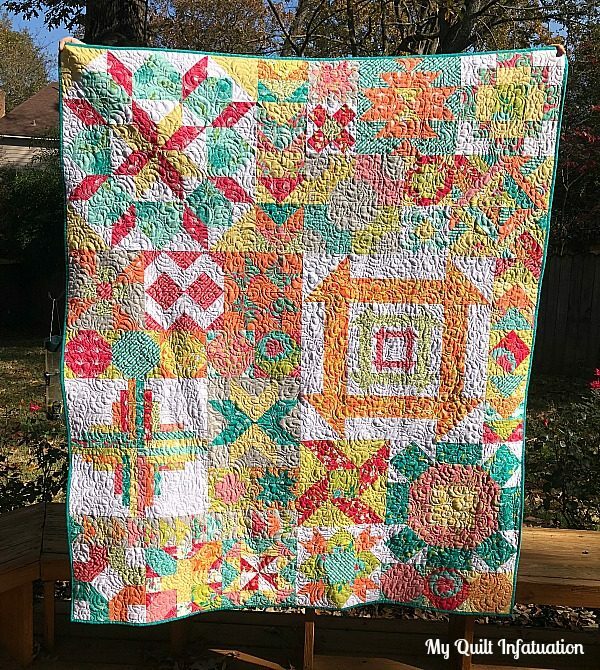 Scrappy quilts are my favorite, and right now, I’m on a mission to tame my scrap jars. I’ve vowed to clear them out, and I’ve been using the methods from my book Stash Statement to bust through them. Here’s the twelve different projects you can find in Stash Statement! 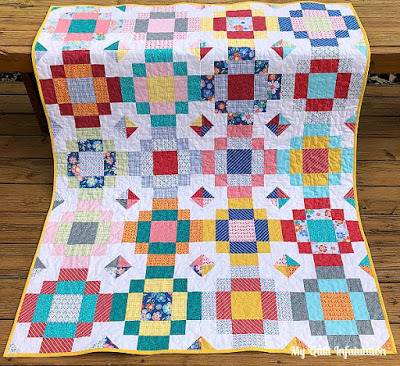 Inspiration for all your scraps! I only work on one project at a time. I know I’m in the minority on this, but it helps keep me focused, and keeps my studio pretty neat. There have been times that I’ve tried to bounce from one project to another, but I always go back to one at a time. I just accomplish more that way! 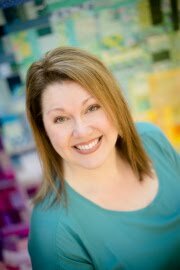 And, Kelly has so generously offered a coupon for IAQ Members during the month of April! 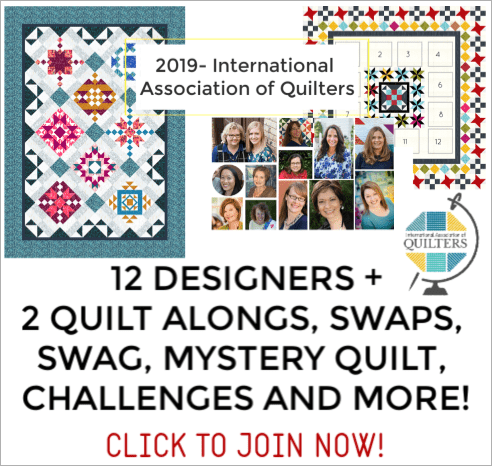 The coupon is for 20% off in her Etsy shop with the code –only for IAQ members Login to find the code. 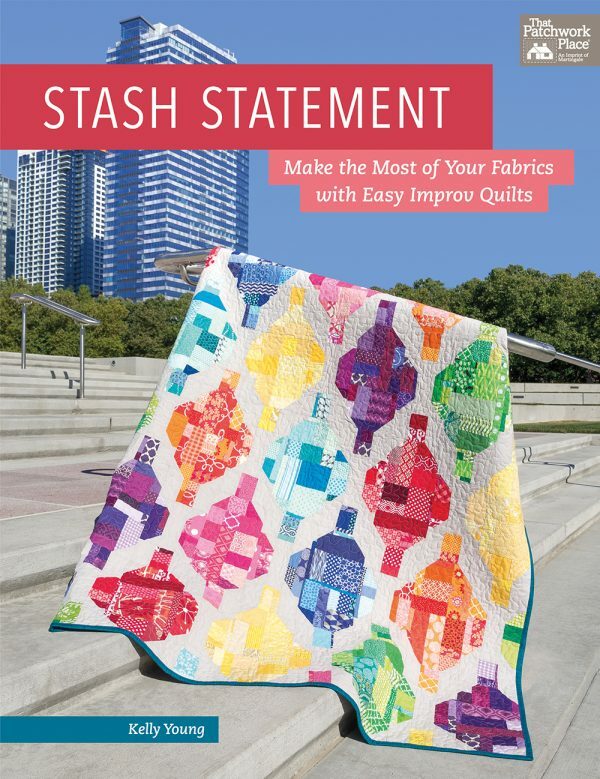 This coupon applies to anything in her shop, including individual patterns OR her book, Stash Statement.